Keep up to 8 pairs of sticks conveniently within your reach with the On Stage DA100 Drum Stick Holder! 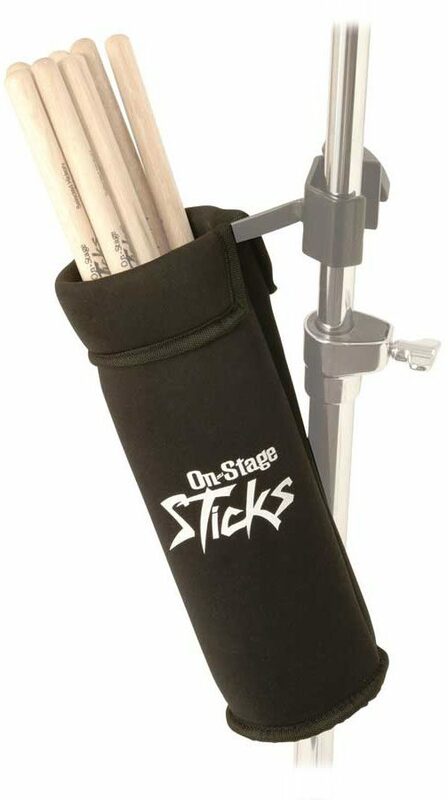 The C-shape mounting clamp attaches easily to most stands and other hardware, and the extension arm is angled downward at 45* for easy removal/placement of your sticks while playing. The cup holder can be removed from the hardware for cleaning purposes.